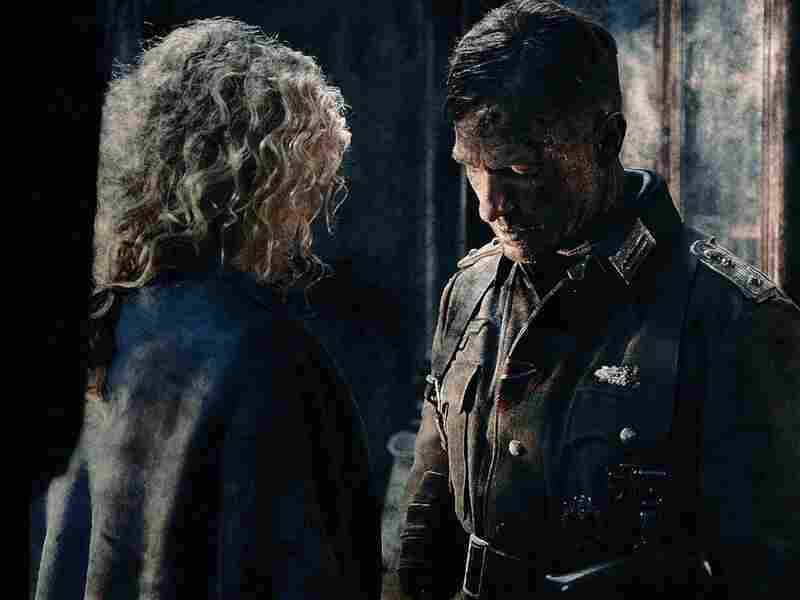 Movie Review - 'Stalingrad' - The Fog Of War, Thicker Than Usual A new 3-D take on a formative Russian war story has its impressive moments, but ultimately feels contrived and confusing. If you're only going to see one film about the Battle of Stalingrad — and there are many — Stalingrad would be the wrong choice. Russian director Fedor Bondarchuk's treatment of the World War II turning point is shallow and contrived, if sometimes impressively staged. The movie wins points, however, for sheer wackiness. This is first film about Stalingrad, for example, to open with voiceover in Japanese. The completely unnecessary framing story is set in the Tohoku region just after it was pummeled by the 2011 earthquake and tsunami. Among the international rescue workers is a Russian who speaks German. Seeking to calm five German students trapped in a collapsed building, he tells them a reassuring tale. It's about Russians behind enemy lines, trapped in a nearly collapsed building during what some reckon was the bloodiest military campaign in human history. Yana Studilina and Thomas Kretschmann play a Russian woman and a German colonel whose lives collide during the conflict. Cut to 1942, when Russians are sneaking across the Volga to strike German positions. To stop them, German Col. Peter Kahn (Thomas Kretschmann) manages to blow up a fuel dump, setting many of the attackers afire. In a deliriously impossible scene, blazing Russian soldiers continue their offensive, killing Germans as their own bodies char. This brutal sequence is as sweeping as anything in Enemy at the Gates, the 2001 English-language Stalingrad epic. But then the movie shifts to a more intimate (and affordable) scale. A few survivors of the onslaught take shelter in a bombed-out apartment house. For most of the rest of story, they hold their position against the much larger German contingent outside. Eventually, only five Russian fighters remain, each waiting for a chance to demonstrate his noble spirit of self-sacrifice. Just one tenant has survived the fighting: Katya (Maria Smolnikova), who's almost 19. To the Russian soldiers, she's everything they're fighting for — country, sisters, mothers, wives. Radio operator Sergey (Sergey Bondarchuk Jr.) is particularly taken with the girl. When not battling the Germans hand-to-hand in kung fu-style brawls, the men plan Katya's birthday party. To balance this sentimental tale, there's a harsher one about another woman: Masha (Yana Studilina), who's reluctantly under Kahn's protection. Compared to his abominable commanding officer, the Colonel is almost a nice guy; he bristles at his fellow Germans' brutality toward civilians, but intervenes to help only Masha, a blonde beauty who reminds him of his late wife. The fate of one of these women will ultimately be revealed on the movie's concluding trip to Japan, which is just as disorienting as the first one. This is the first Russian production to be presented in IMAX 3-D, technology that doesn't add much to the film but does distinguish it from the 1989 Russian Stalingrad (which starred Fedor Bondarchuk) and the 1993 German Stalingrad (which starred Thomas Kretschmann). The spectacle, literally amplified by Angelo Badalamenti's strident score, helped make Bondarchuk's movie a hit not just in Russia but also in China. It faces much dicier prospects in the United States, whose filmgoers didn't grow up on the heroic national legend of Stalingrad — and lately haven't shown much taste for gory war sagas unless they feature aliens, superheroes or the undead. 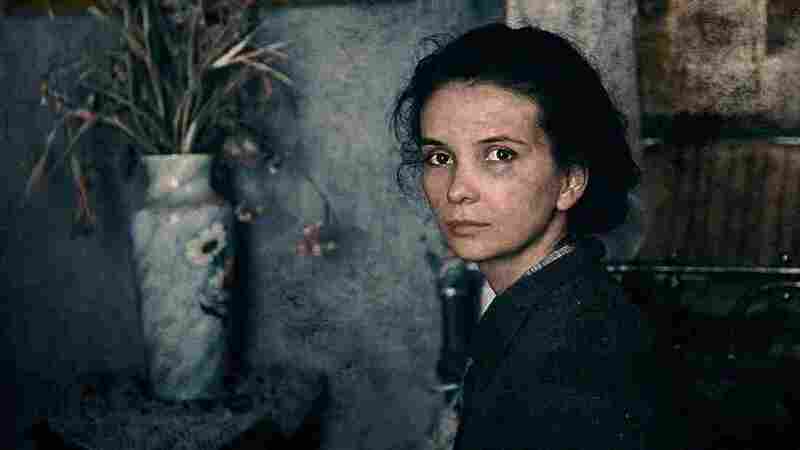 Indeed, for all of Stalingrad's curious developments and bewildering gestures, the strangest thing about the movie may be that it's even being released in the U.S.